Xiaomi has silently dropped an entry-level smartphone named Redmi Go. The vendor has announced the handset via its official global Twitter account following weeks of repeated leaks and rumours. 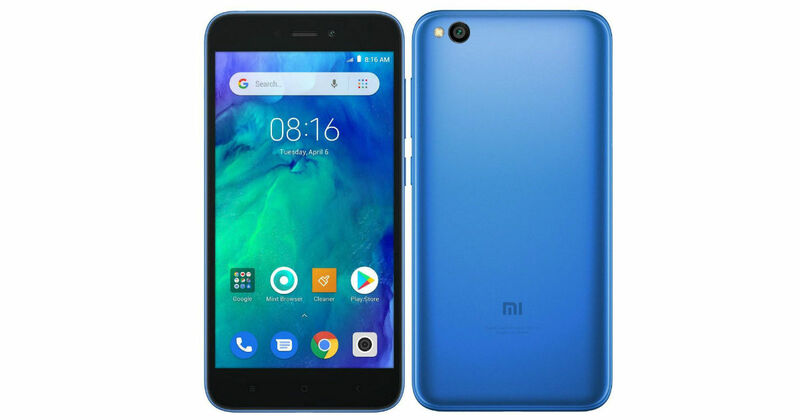 However, there is no official listing page for the Redmi Go yet and the specifications revealed on Twitter don’t paint the full picture about the handset. However, we can expect the handset to run Android Oreo (Go Edition), a stripped down version of Android meant for low-end devices. The Redmi Go’s price and availability are yet to be revealed, but we can tell you it’ll be a budget handset offered in Blue and Black colour options. There is no word yet on the India price and launch of the handset. Talking about the specifications, Redmi Go doesn’t come with the modern 18:9 or 19:9 aspect ratio. Instead, it sports the old-school 5-inch 16:9 aspect ratio display with HD resolution. The phone has capacitive navigational buttons at the bottom bezels, while the top-bezel flaunts earpiece, front camera, and proximity sensor. The handset is powered by a 1.4GHz quad-core Snapdragon chipset under the hood. The configuration has not been revealed yet, but a leak from the Philippines suggests it packs Snapdragon 427 SoC, 1GB of RAM, and 8GB storage, which is expandable up to 128GB using microSD cards. In optics, the Redmi Go has been confirmed to feature an 8-megapixel shooter on the rear and a 5-megapixel selfie camera up from. Leaks tip the apertures for the two cameras at with f/2.0 and f/2.2 aperture, respectively. The device is fuelled by a 3,000mAh battery. In terms of connectivity, it might feature single-band Wi-Fi 802.11 b/g/n, Bluetooth 4.1, microUSB, and GPS. As an Android Go phone, it will support Lite apps, such as YouTube Go, Gmail Go, and Google Assistant Go.